In her TED talk, Duckworth says she doesn't know how to build these skills yet, that's what her current research is about. In the meantime she says one of the best ideas she's heard comes from the research of Carol Dweck, which you can read about in her book Mindset: "In a growth mindset people believe that their most basic abilities can be developed through dedication and hard work—brains and talent are just the starting point. This view creates a love of learning and a resilience that is essential for great accomplishment. Virtually all great people have had these qualities." Her recommendation for improving self-control is to use WOOP, otherwise known as "Mental Contrasting with Implementation Intentions", which is explained in the book Rethinking Positive Thinking by Gabriele Oettingen and implemented in a phone app for iOS or for Android. Listen to Oettingen's interview on The Art of Charm podcast for more information. Duckworth was interviewed about her book Grit: the Power of Passion and Perseverance on The Art of Manliness podcast. Print out the grid correlating Angela Duckworth's character strengths with some of the top skills identified by David Tough as desirable for graduates of audio production programs and look for opportunities to grow. ​Check out Peterson and Seligman's Character Strengths and Virtues if you want to go deeper. These pioneers of the positive psychology movement have identified 24 characteristics that contribute to happiness. In addition to the 7 that Duckworth has chosen, they include creativity, curiosity, open-mindedness, love of learning, integrity, love, social responsibility, leadership, forgiveness, and appreciation of beauty. Chuck Surack says that he meets with employees on their first day at Sweetwater to review their operation and expectations. I've heard that If they don't already know it, he teaches them the Boy Scout Oath, which ends with a commitment to be trustworthy, loyal, helpful, friendly, courteous, kind, thrifty, brave, clean, and reverent. Angela Duckworth was interviewed about her book The Power of Passion and Perseverance on The Art of Manliness podcast. We made an Android app combining some of Duckworth's and Oettingen's ideas to help you keep track of your goals and track your progress. Presentation to Music Entertainment & Industry Educators Association, March 25, 2015. Presentation with Dr. Doug Bielmeier to AES Central Indiana Audio Student Workshop, September 12, 2015. "An Approach to Fostering People Skills in Music and Entertainment Programs" paper. "Teaching Communication Skills and Character Strengths in a Music Production Program," Association for Technology in Music Instruction", November 6, 2015. A lot of people will tell you to be like a sponge in order to soak up information. 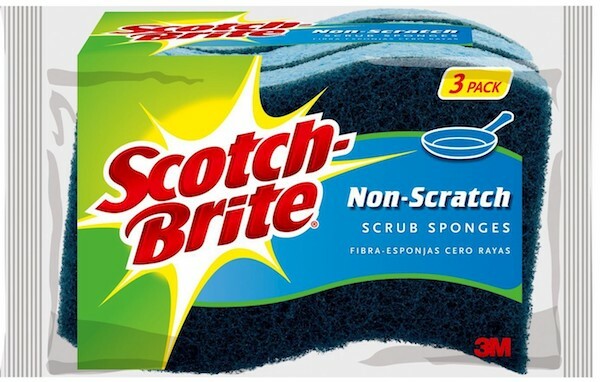 ​In this new global economy I recommend aiming your sites higher in order to become the best sponge there is—a Scotch-Brite™ heavy duty scrub sponge. You can even add extra value by adding Non-Scratch certification, and if you want to show some artistic flair, consider developing a blue wave. The reason I like this image is that it shows that you have that thirst for knowledge and new experience going on, but in addition, come with an extra gritty layer that you can use when necessary to really dig in, go the distance, and get the job done. This is what will put you ahead of the pile of other generic sponges. The 3-pack shown in this picture implies that you have depth, and will stay fresh and updated. No surprise here—they're made in America. Pay attention to the labelling if you want some material for your resume. "Scotch" is synonymous for "frugal", "practical", and "time-saving", and "Brite" implies "brilliant", "sunny", "fulgid", and "polished". The 3 M's stand for "mindfulness", "manners", and "mischief". ​If you notice, it's also recommended to know Spanish.